XPL-101 Penetrating Lubricant offers XPL+ lubrication technology which protects metal surfaces from heat, friction, moisture and the elements and easily loosens rusted or sticky mechanisms. 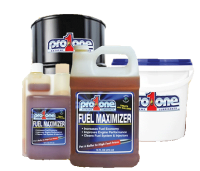 ProOne’s Fuel Maximizer Technology is a super-concentrated fuel catalyst/conditioner that liberates it’s chemical energy and addresses fuel problems creating better performance. 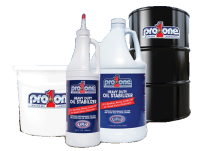 ProOne Heavy Duty Oil Stabilizer features XPL+ (Xtreme Pressure Lubrication) technology, bonding to the metal, reducing friction and protecting the performance for all diesel engines and higher mileage gasoline engines. 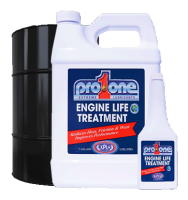 ProOne Engine Life Treatment uses XPL+ (Xtreme Pressure Lubrication) technology to help extend any engine’s working life and performance. From lawnmower to container ship. ProOne Lubricants offers Rust Pro™ Rust Inhibitor capable of providing up to 5 years protection in indoor storage and 2-3 years protection outdoors. For carbon steel or any exposed metal or painted surface in high-salt environments. 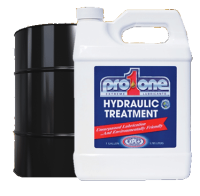 ProOne Hydraulic Treatment provides superior performance, especially at points of extreme pressure, to help keep hydraulic systems running at peak efficiency, which means less down time and lower operating costs. 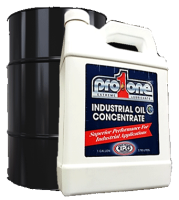 ProOne Inductrial Oil Concentrate use XPL+ (Extreme Pressure Lubrication) technology to reduce friction, heat and wear to dramatically increase production efficiently and extend the working life of gears, cams and dies. ProOne EP-2 Multipurpose Greaser delivers outstanding extreme pressure protection to help maximize equipment life and performance even under the harshest conditions. And with no harmful additives, this premium grease is environmentally friendly! 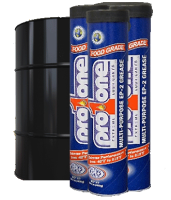 ProOne EP-1 Synthetic Grease is multipurpose grease designed for extreme temperature conditions. It delivers increased parts life, reduced downtime and outstanding protection in the harshest EP, temperature or corrosive environments. 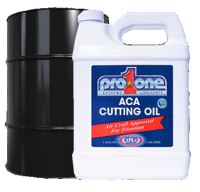 ProOne ACA Cutting Oild using exclusive XPL+ technology, is ready-to-use cutting oil taking performance to a new level by bonding to the cutting tool which reduce wear generated by material removal.